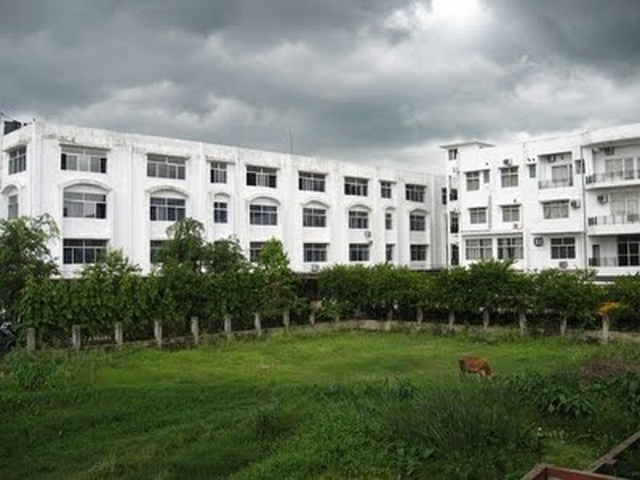 The partially government-aided Institute, with 5.08 acres (20,600 m2) of land, has lecture rooms, workshops and seminar rooms, laboratory rooms, 450+ computer terminals and a central academic library, which has an institutional membership of IEL-IET and AICTE-INDEST, along with other amenities as per the AICTE guidelines. It is a non-residential institution with student-friendly facilities that include a small medical unit, cafeteria, common-room and one play ground. Campus: The partially government-aided Institute, with 5.08 acres (20,600 m2) of land, has lecture rooms, workshops and seminar rooms, laboratory rooms, 450+ computer terminals and a central academic library, which has an institutional membership of IEL-IET and AICTE-INDEST, along with other amenities as per the AICTE guidelines. It is a non-residential institution with student-friendly facilities that include a small medical unit, cafeteria, common-room and one play ground. Central library: The Central Library is on a spacious eight thousand square feet dedicated floor with online access through LIBSYS. Under the supervision of a qualified Librarian, it has a commendable collection of books, journals, magazines and newsletters to cater to the academic and research needs of students and faculty members. New titles are being added regularly. The Library subscribes to both International and National journals including e-journals.